← What does a hotel star rating mean in 2015 and beyond? There is a reason the freezer was invented! Yesterday I did my weekly grocery shopping and as per normal I still had some fresh produce left over which I hadn’t used. One of my pet hates is food wastage and if I can save anything for later use I will and if you look in my freezer you will find little ziplock bags and small plastic containers filled with a bit of this and a bit of that. 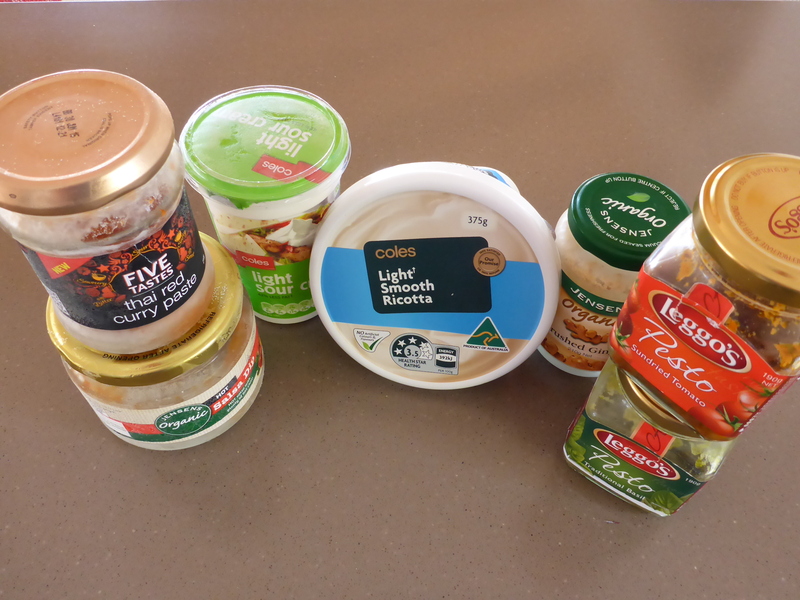 You will also find jars of pastes and salsas as well as left over sour cream, ricotta, cheese and even milk and cream. A Jar of this a tub of that. Leftovers straight into the freezer. I have read many articles in the past saying you can’t freeze certain things (especially dairy) but I have been doing this for years as I found when I was living on my own I couldn’t possibly use everything and I refused to throw it away. I have made muffins, cupcakes, cakes and pancakes using milk, cream, sour cream, coconut cream and ricotta. I have made many a pasta sauce using leftover pastes, herbs, onions and even the rinds of parmesan cheese. I have used cheese in sauces, pizzas and lasagnes. Nothing goes to waste if I can help it. 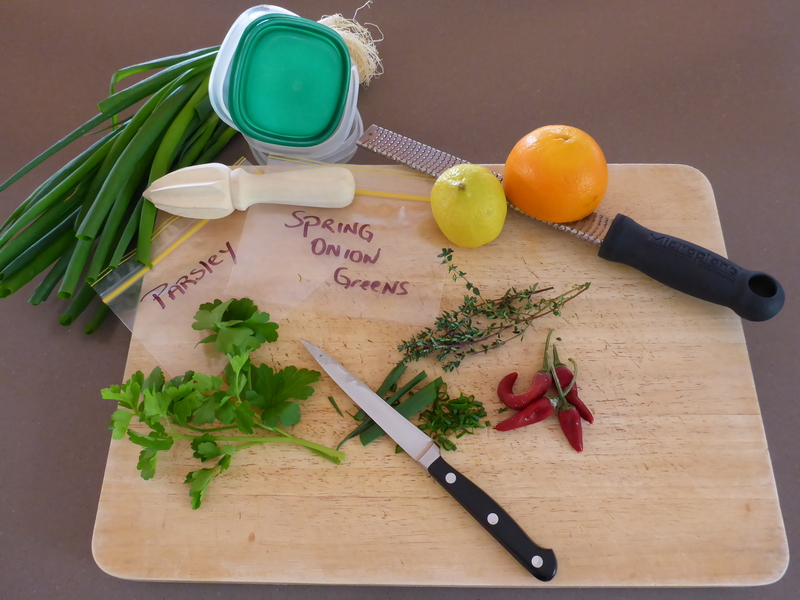 During the summer months I have an abundance of herbs from my little herb garden so I chop, chop, chop and then put into labelled ziplock bags for use in sauces, soups and stews. If I buy a large bunch of spring onions, celery, lots of chillies or have lemons, limes or oranges I have only used half of I will slice, dice, grate and juice and put them all into their own containers or bags (even ice cube trays) and then I’m set if I decide to make a particular dish and find I don’t have an orange or don’t have time to dice the onions. You can freeze anything. Get chopping! So if you have leftovers spend a little bit of time preparing them and freezing them and you will thank yourself for not wasting, saving money and having bits and pieces on hand whenever you need them. Try it and you will be proud of yourself! This entry was posted in Hints, Tips and clues., Home and tagged Food, Freezing, herbs, Hints, Waste. Bookmark the permalink.